1 lb. package of small links. 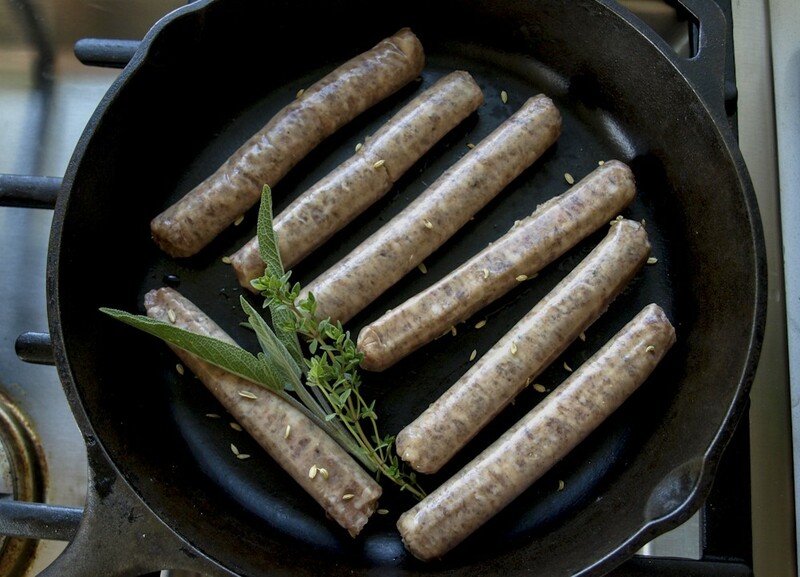 Breakfast sausage is one of our most popular items and for good reason. Easy to cook, perfectly spiced and appropriate at any meal of the day this pasture pork product is the perfect storm of flavor, convenience and health. We raise pastured pork on our local farm in Central New York with exacting standards. Learn more about pastured pork and how we raise our pigs. Cairncrest Farm pastured pork, salt, and black pepper.